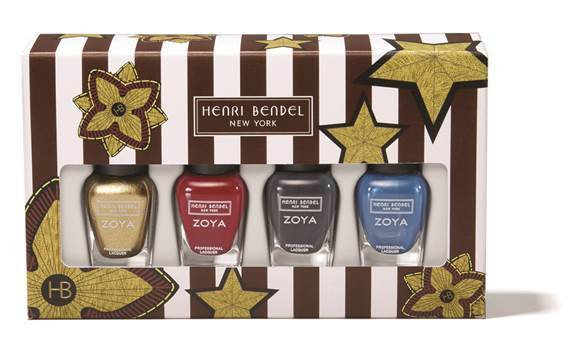 Zoya has partnered with Henri Bendel to offer a custom LE Zoya gift box that will be used as a gift with purchase for $150 purchases and up at 29 different locations across the United States. The promotion will occur on September 9th from 1-4pm. These events will also feature bubbly for the 21+ crowd and sweet treats for all. If you are able to attend the NYC flagship store they are also offering complimentary Zoya manis on top of all of the perks previously mentioned. Unable to attend in person? You can receive the GWP by shopping with HenriBendel.com now through Monday, September 11th to pick up your gift with $150 purchase. Check out Henri Bendel on social media for a special contest being announced soon! Prizes include two $150 gift certificates and several LE Zoya sets. If you enjoyed this post you might like Zoya Naturel 3 Collection and Zoya Wanderlust Summer 2017 Pt 2.